Your engineers, technical professionals, and suppliers utilize internal standards and specifications alongside industry standards. IHS Markit has long provided the premier solutions for industry standards and related documents through Standards Expert and the Engineering Workbench. Now you can add your company standards and other internal engineering documentation to the Engineering Workbench with our Internal Standards Management solution. In addition, you can drive cost savings from your highly used standards through our Conformity Assessment service. See how a leading media technology provider dramatically improved productivity by securely sharing internal design documentation with supply chain partners using the IHS Markit solution for internal standards management. The benefits can be substantial. 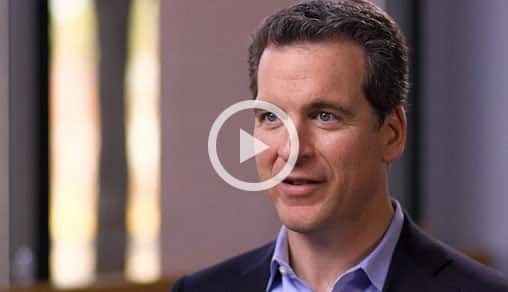 Watch this video on the cost (and opportunity) of standards, or read this case study to learn how IHS Markit helped a large energy firm identify over $180 million in annual cost savings in 1,200 internal standards. Every organization has its own set of internal documents and systems that reference external content. These can be design standards, specifications, drawings, handbooks, procedures, and a host of other company/proprietary documents that reference external/industry standards, regulations and codes. Maintaining these links and cross-references can be a huge drain on resources and productivity, not to mention potential risks related to compliance and quality. How do you make sure each links to the correct industry standard or code? Are those industry standards/codes accessible, up-to-date, and copyright compliant? Is everyone in the organization working to the same, consistent set of documents? The Reference Linking Solution from IHS Markit provides users with secured direct access to external standards, specifications and regulations from within their own documents and workflow processes. This solution allows users to work more efficiently by ensuring that the appropriate external documents are always available when they're needed and that all employees throughout an organization are using the correct version of a document. Visit the Reference Linking Solutions from IHS Markit for more information. Chad Hawkinson, SVP at IHS Markit, speaks to how engineering standards, and the proper application of those standards, can drive dramatic cost improvements by eliminating over-specification (a.k.a. 'gold plating'), minimizing internal standard 'overlays', and adopting industry standards where appropriate. He explains how IHS Markit helped a large operator in the oil & gas industry determine that they over-specified many of their valves, and identified $25M in annual cost savings by procuring to industry standards rather than their own internal standards. 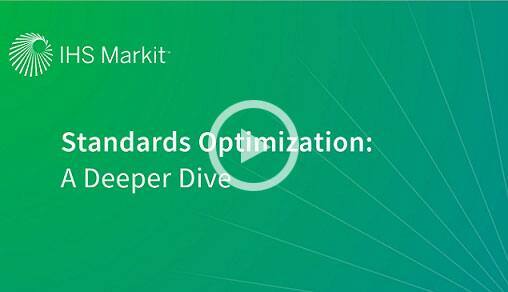 Watch this 10 minutes video for a deeper dive into IHS Markit project approach for standards optimization, utilizing advanced tools and services for function modeling, value engineering, and solution identification.